Zohara Leather Handbags from Northern Ireland | Free Gift Code! There's nothing I love more than finding a great local company, producing world class products and a little under the radar. The company I work for - Field Day Ireland - is a bit like that and it's made me passionate about the local talent that needs to be shared far and wide. 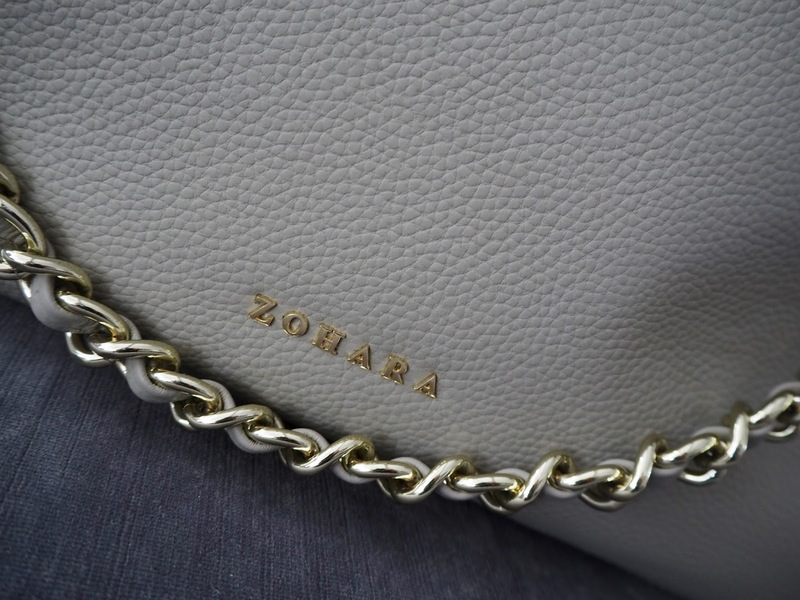 So it gives me great pleasure to feature Zohara handbags here on the blog. I first came across the brand in Menarys in Bangor when I called in about a month ago and I was delighted to hear that the bags are designed and distributed locally and have great Northern Irish names like 'The Ballintoy Collection'. 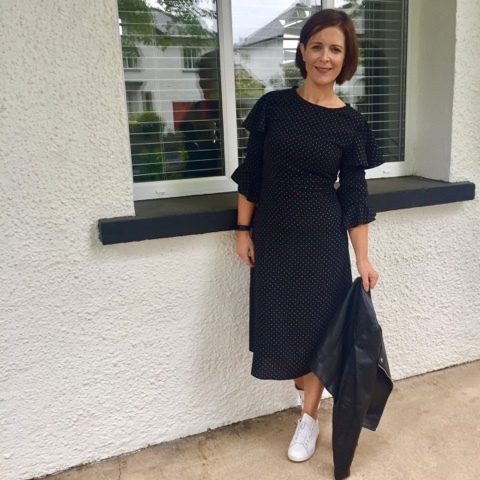 But that was as much as I knew ahead of being invited to a Blogger Brunch with the Zohara team - a a great opportunity to touch and feel the new collection and see the range of colours. 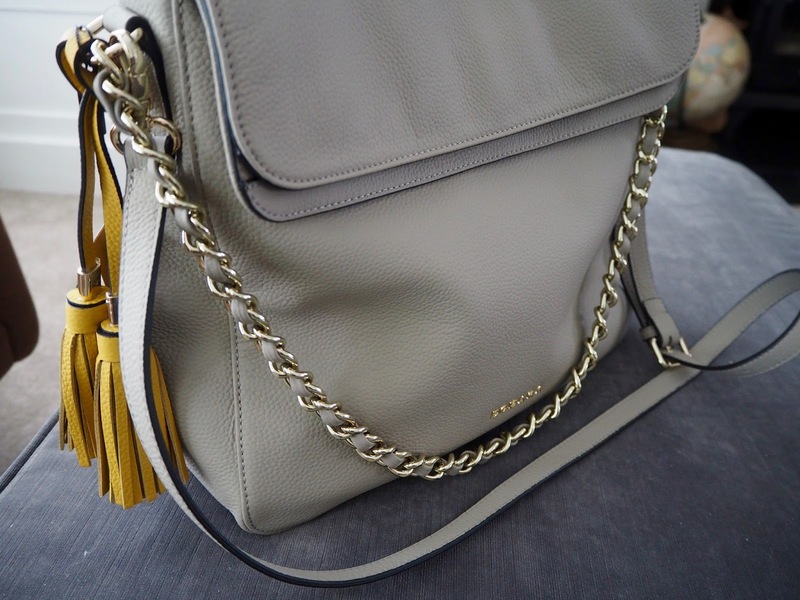 First impressions is that the quality really is incredible for the price - you really have to see the bags to believe it. They're not super cheap - retailing from £65 for a purse to £189 for one of the larger bags - but they are a LOT of bag for the money. I get to touch and carry many designer bags (and own one of my own) and I can testify that the leather in these bags, both the butter soft pebble and the saffiano, is of the highest quality. I've seen bags at twice the price with less impressive leather - you pay such a huge premium these days for a name. Additionally, I could tell that a lot of thought has gone into the design with pockets where you need them, easy to manage closures and straps that are just the right length. It's slightly bigger than bags I've been carrying recently but I find myself craving a larger bag after years of small cross body ones. I have a new camera which I've struggled to fit into my existing bags. Equally, every time I go out, I seem to need to bring a charging block and a notebook and water...oh and all the drugs! So I'm frequently to be seen trying to cram everything in and bemoaning having sold or given away my bigger bags from a few years ago. 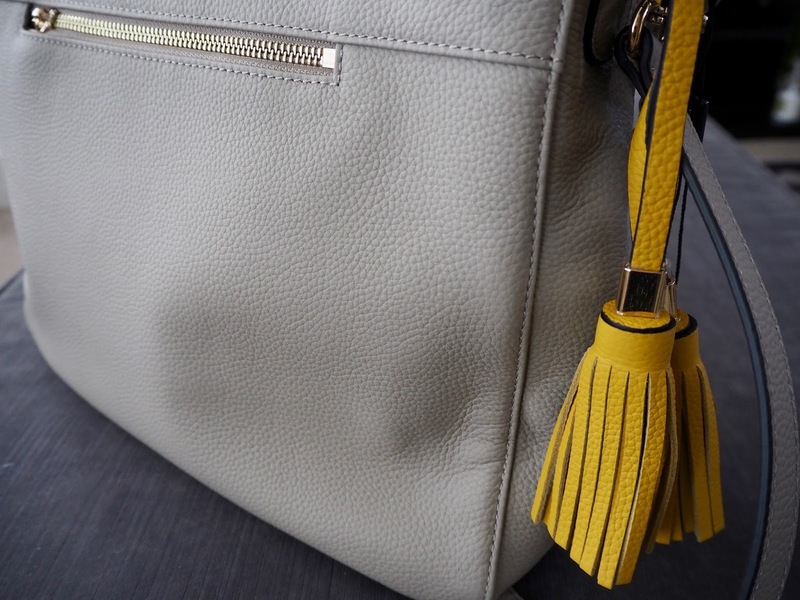 The colour is also the perfect neutral greige colour and the pop of colour with the tassels is really sweet but equally you can take them off if you would rather a plainer look or if the yellow clashes with the rest of your outfit. Again - there's thought put into that! - think Jo Malone with a local twist. 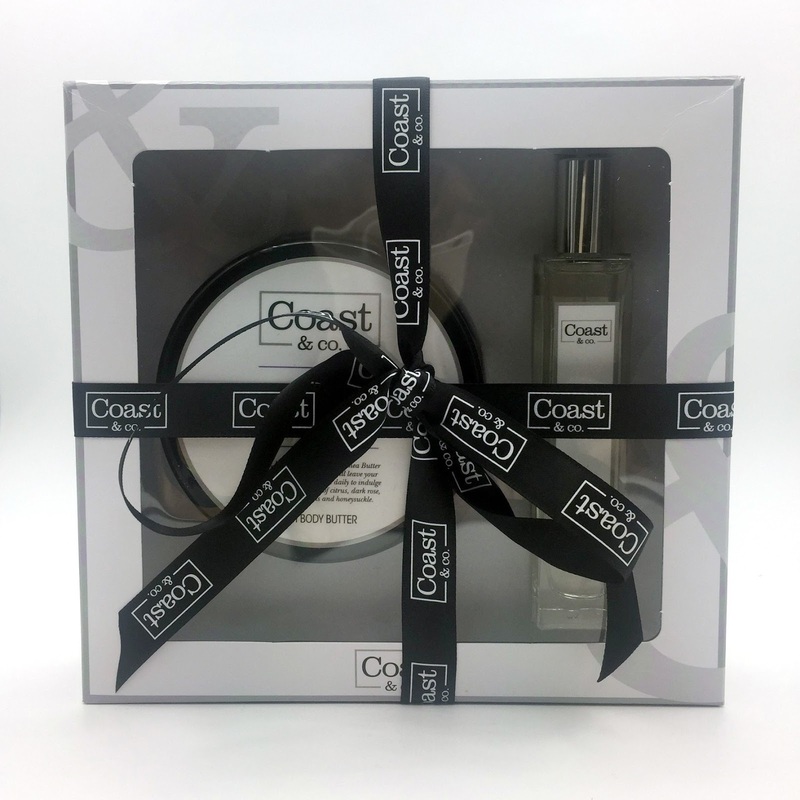 The gift set is worth £23 and includes a 50ml Eau de Parfum and a 200g Body Butter, beautifully packaged in a black and white gift set. There are 3 fragrances to chose from and I can vouch for the Orchid & Amber as I got to smell it today. There's an incentive for me too which I need to tell you about. 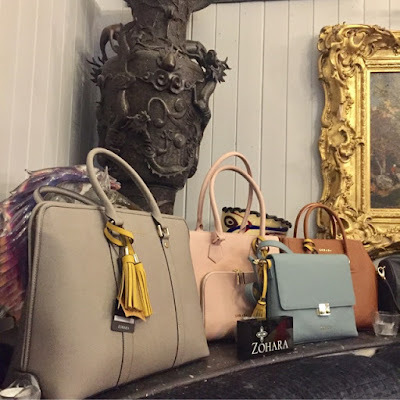 I will get £5 credit to spend in Bella Mia Boutique for every order that is placed but I'm not keeping it for myself...I'm going to put it towards buying a Zohara bag to give away here on the blog. The free gift code above is valid until the 31st August and after that, I'll use my credit to run a competition on here by way of thanks for all your support of the blog and the brands that support me. So stand by - I know it seems like ages away but the new autumn winter collection will be out by then! 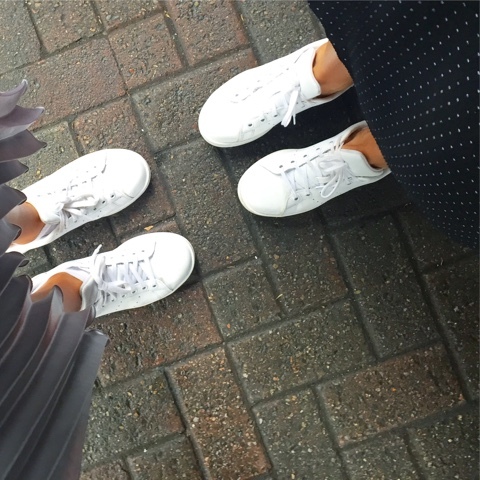 and a last picture of me shoe-twinning with the lovely Emily from Style Me With Love. 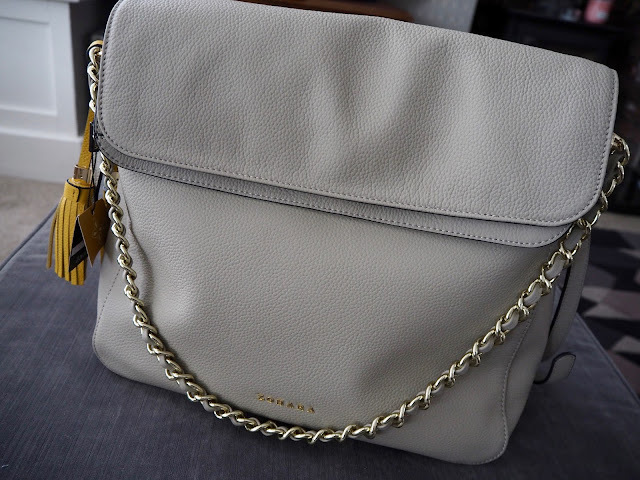 Disclaimer - I was gifted this handbag by Zohara but I was not paid or obliged to blog about it. All words are my own. I love that bag!!! So tempted.. do you know if they have stockists in England? The bags look gorgeous - I can almost smell the leather! Liked....wonderful that this is an NI company, they look amazing quality. Loving all the purses and bags in their range!